Hello! 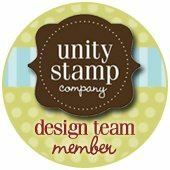 Welcome to my stop on the AnnaBelle Stamps Round For Christmas Blog Hop! You should have just visited Therese's beautiful blog. Today we're showcasing Round For Christmas. Leave a message on each of the blogs, and add your name to the Inlinkz gadget on the ABS Blog before Sunday 12pm and you could win your own Round For Christmas set! Andrea is also offering this set as the "Deal of The Week"with a 20% discount until next Friday. I wanted to highlight the gorgeous simplicity of this set and keep it simple, so I've used two different Versamagic inks to simply stamp the images in lovely solid colours. I really like the overall effect and they'd be so easy to make in lots for Christmas! For my cards today I used the very first sketch challenge for CAS(E) this Sketch! Perhaps you noticed the lovely ladies before and after me on today's hop are on the DT? Next you're off to visit Gayatri! Great card. Great colours. Thanks. Gorgeous card, Danielle! Great take on the sketch. I too used the same sketch for my blog hop project but it looks very different. CAS genius! The blue totally pops!! ps forgot to say Thanks so much for joining us in our first challenge at CAS(E) this Sketch! What a beautiful card - so clean and simple, but stunning! 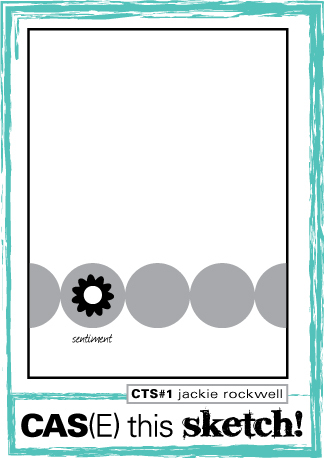 Fantastic CAS card- I am loving the non standard colours you girls are using and so effective. Great CAS card, love the colour combo. I agree with Kathy, I love the non-traditional colors! I could see how easy and fun it would be to make multiples of this as sets. Maybe in different color combinations. Daniele, I'm so glad you played along with us in our first CAS(E) this Sketch challenge!!! Beautiful card, Danielle! Love the simplicity, great take on the sketch! I just adore those colors together but would never have thought to use them for Christmas. They're perfect and those stamps are to die for! Thanks so much for playing with us at CAS(E) this Sketch. How simple and gorgeous is this!!! Love it and you! 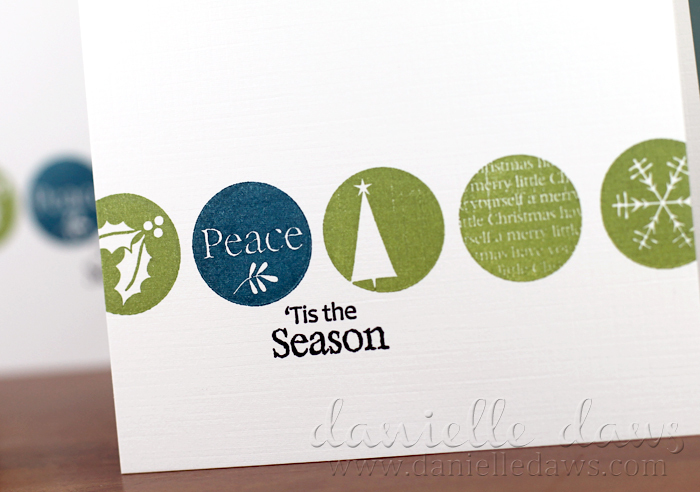 Hi Danielle ~ your card is simple, yet stunning. I'll echo the 'unique use of colours' observations. Thank you for sharing and inspiring. So sweet and CAS. Love the colors you chose. I love how effective and clean it is. Love the simplicity of thus sketch but you just made it awesome with the gorgeous stamped colours. I love how you make CAS so breathtaking. This design is no exception. I love how different the DTs projects are, this set looks so versatile! These colours are beautiful together! Danielle you images are fabulous. You're right. This would be a great card to mass produce if you were time short but still style saavy. Thanks for sharing. Hmm, no, I certainly hadn't noticed that any of you were connected with CAS(E) this Sketch... or that even more of you had used the excellent first sketch... or that this set and that sketch are perfect for each other... no, no, why would I have noticed that? 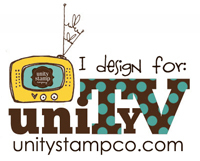 Oh, Danielle - beautiful stamps and perfectly showcased by the sketch! Gorgeous creation! So glad to see you at CAS(E) this Sketch! Beautiful! Love the colour combo too! Danielle,these are beautiful because they are simple.The colour combination is fresh and perfect. This is gorgeous! Love the green and blue paired together for this Christmas card, looks fabulous on the crisp white :) Thanks for playing CAS(E) this Sketch this week! AWESOME cards, Danielle! 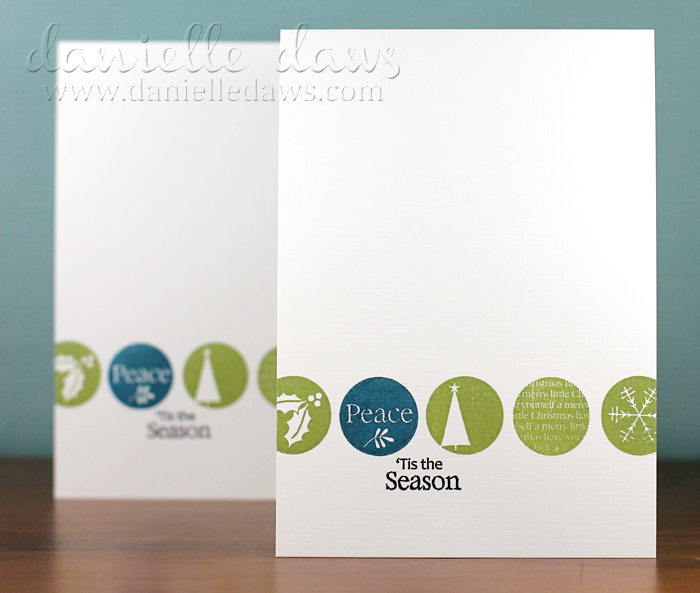 LOVE the Blue and Green together and what a great sketch to work work and loving that white cardstock you used!!! Cute card Danielle! I love this card! Great colors for Christmas...not the traditional red and green! Awesome! Clean, crisp and very striking! Great cards Danielle. the perfect CAS card and awesome for this sketch! Thanks for playing along with us at CAS(E)this Sketch!